Not only does this remind us that our breakthroughs are often simply the result of random variation succeeding in competitive environments, it should also remind us that there is nothing determined or inevitable about the world around us. We’re one of a number of potential branching variations of Homo Sapiens that got lucky enough to find language and co-operation first. 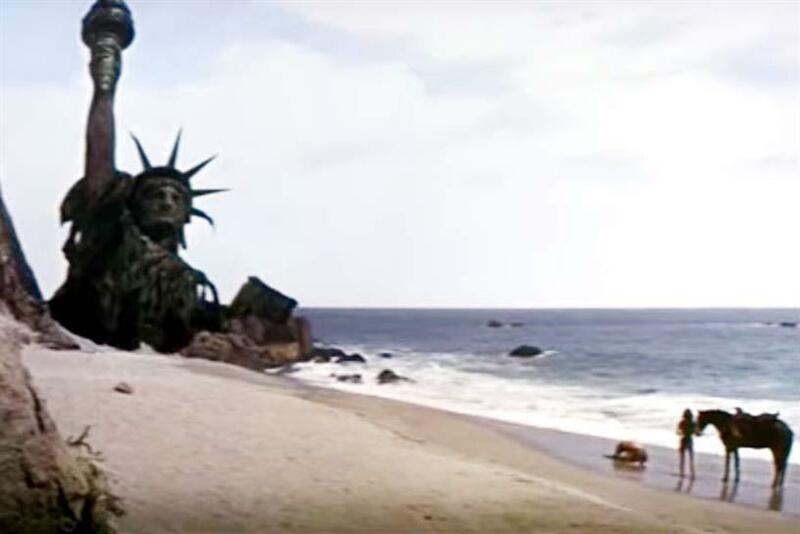 Run the experiment again and, perhaps more often than you would like, we’re just Charlton Heston screaming on the beach. It’s humbling. And should cause us all to question the world around us, to wonder which bits are inevitable and which are just genes in the petri dish competing for survival. This is worth remembering when it comes to technology. We have all lived through an unprecedented upheaval in recent years, with the behavior of those we seek to influence changed dramatically, wiping out entire sectors and creating brand new ones. In the advertising industry, these disruptive tech giants are now our biggest customers. Purchase decisions and transactions are now often conducted by smartphone as the shutters go up on High Streets across the land. AI and machine learning will enable tremendous advances and perhaps gobble up millions of jobs. Bliss it is in this dawn to be alive and to be young very heaven. The marketing industry has been terribly enthusiastic about these changes. They are covered in the marketing press with our peculiar mixture of breathless enthusiasm and abject terror. Something new is coming, it’s going to change everything. And that might be a worry. The problem with our technology discourse is that we see almost everything tech companies invent as inevitable. And they’re just not. Some years ago, I remember someone observing to me that books were dead, because if you looked round any tube carriage (this was pre-Brexit when we were allowed to make anecdotal observations about London) everyone was reading on Kindles. It was true for a bit. Last year ebook sales dropped by 17% and physical book sales increased by 9%. I remember reading articles about Snapchat spectacles, feverishly whipping up fear that if your next comms plan didn’t consider them, then you were a dinosaur, daddy-o. Snapchat was hugely successful (at the time), growing fast, valued in the billions, this was new technology, therefore it was obviously the thing that everyone would be doing in the near future. Nope. VR headsets? Everyone has one don’t they? Using it all the time? Err. Any new technology that comes along is just another branching possibility. Not inevitable. Not something that you have to get involved with in order to keep up with the modern world. Social networking and smartphones haven’t advanced humanity, they’re just a couple of the things that happened thanks to the internet. They generate some good and some bad. We wouldn’t be primitive and backwards without them, just different. Technology happens because of three simple forces: supply, demand and regulation. Someone has an idea and turns it into a product. This is the point at which we often go nuts, terrified that if we don’t start changing our plans to accommodate it, we will look old fashioned. But if it can’t be delivered at scale, then no matter how many people want it, it ain’t going to change the world. And even if you can deliver it at scale, if people aren’t using it then it’s not the next big thing. And sometimes, now perhaps increasingly, governments are realising that they can decide which technologies they will allow to change their societies and make it easy or difficult for it to happen. Self-driving car enthusiasts take note. It’s not Amara’s law (that we tend to overestimate the effect of a technology in the short run and underestimate the effect in the long run), it’s just that some stuff doesn’t ever make it. I’m not saying that technology isn’t transforming our industry. Nor that such creative destruction isn’t welcome. I’m not saying that the pre-internet age was better. I’m saying that we should all remember we have a choice. We can choose to use what we genuinely conclude is useful and effective, after understanding its potential and appeal, rather than just investing because someone says it’s the next big thing. We can choose to invest our money in experimenting and learning so we know what it means for our business and brand, rather than assuming that every brand has to have a web page, or a social media account, or a Snapchat filter. By all means give everything a try, but do it deliberately and make sure you have a way to learn and judge whether it’s really worth it. Because when it comes to marketing tech, you’re the customer, so you’re allowed to decide what you think is important.